Reduce drum vibration noise heard through your floors. 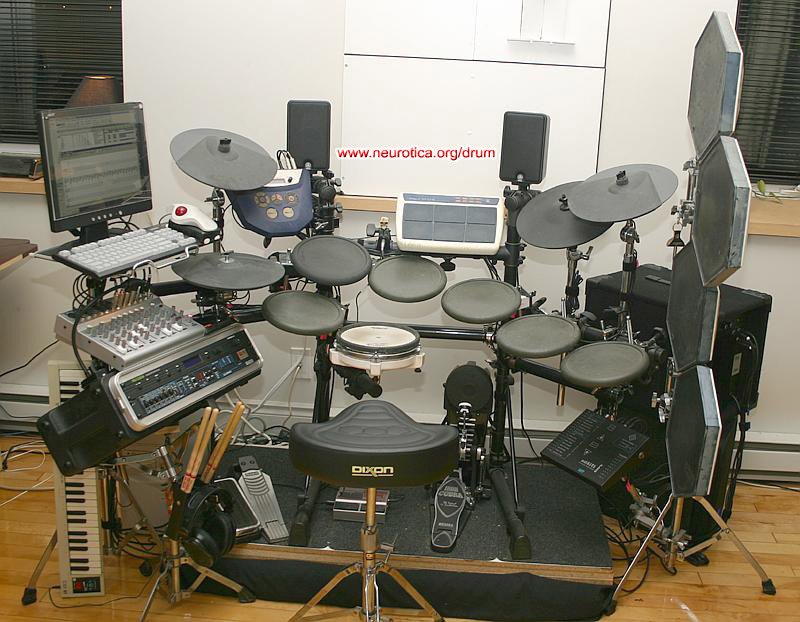 Electronic drum sets are not completely silent. The physical sound of the sticks hitting the pads and bass drum pedal striking the bass drum pad create quite a bit of noise that vibrates through the floor. Building your own drum riser will help reduce these noise vibrations. There are many DIY sites that detail how to make them. One of the simplest and easiest to build can be found here. Rather than spending lots of cash on professional rubber solutions, try using our used conveyor belting. We will cut our belts to your size specifications for no extra cost. Our inventory is constantly changing; we have a variety of thicknesses and ply's to fit your needs. Give us a call today and we'll get your custom sized mat to you so your neighbors will stop complaining about the noise tomorrow!